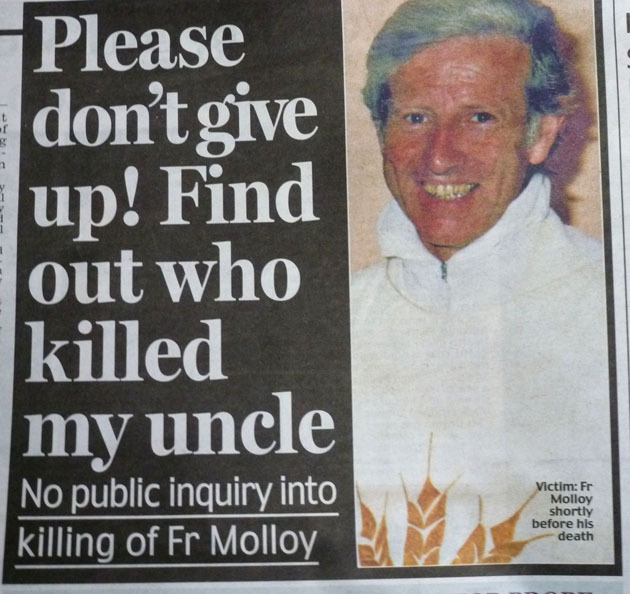 Recommendations ruling out a public inquiry in the case of murdered Roscommon priest Fr Niall Molloy – reported this morning – are being described as politically motivated. The 52 year old priest from Castlecoote was found dead at the mansion of his friends Richard and Theresa Flynn in Clara, Co Offaly in 1985. Reports in this morning’s Irish Daily Mail say that recommendations by senior members of An Garda Síochana that a public inquiry be held have now changed. This morning’s Irish Daily Mail claims that recommendations from the Garda cold case investigation team for a public inquiry have changed. 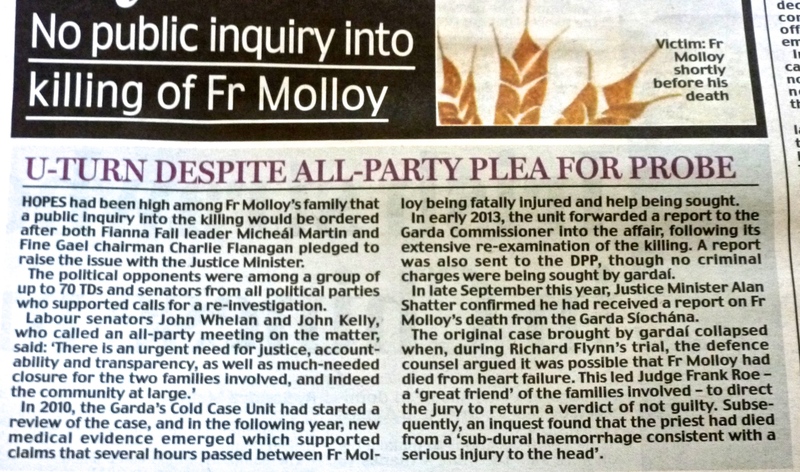 The initial recommendation for the public enquire was believed to be linked with the fact that a number of those who attended the party on the night of Niall Molloy’s murder refused to cooperate with the cold case investigation. 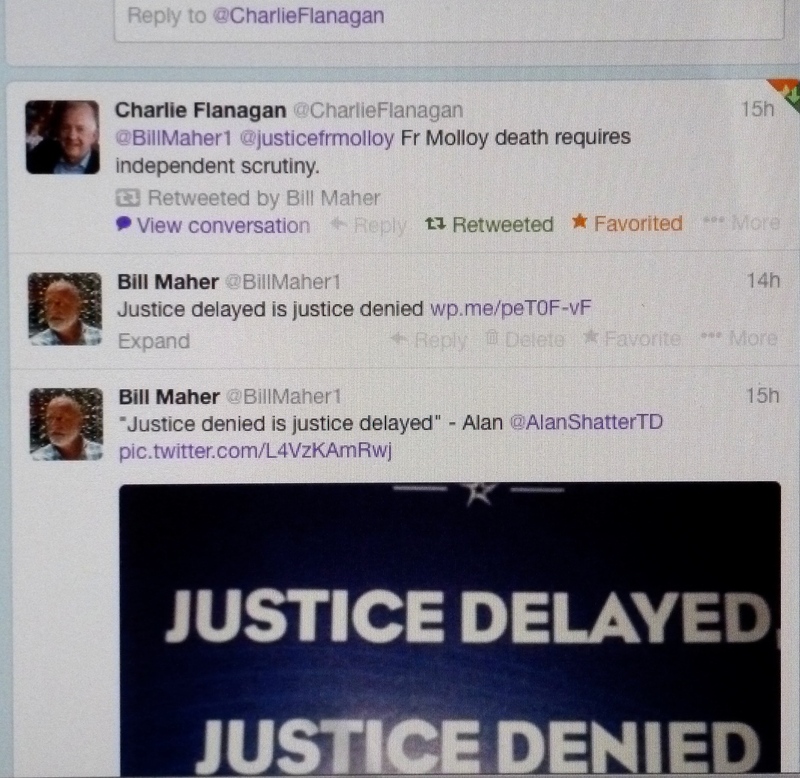 A public inquiry would therefore compel witnesses to come forward. However, according to this morning’s report by Daily Mail Crime journalist Ali Bracken – a well placed governement source has said that “there is a lot of factors at play here and there is not political will or inclination for a public inquiry”.